How long do people have to wait for an interview? I don’t have a working mic. but I can text in chat even faster. Why was I kicked from Teamspeak? I have requested an interview on Teamspeak, but I can’t find the password for the server to get on? Who can I contact for further help? 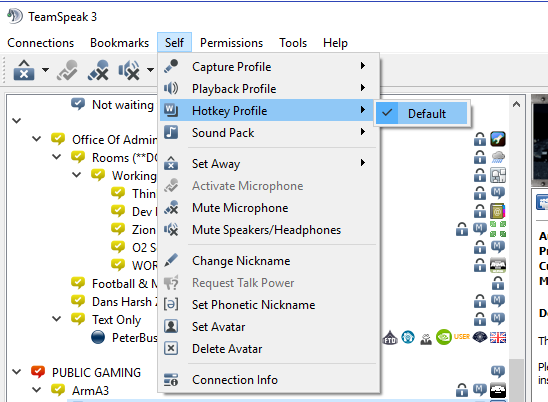 How can I get the CIV channels passwords for teamspeak? How do I increase my security level? What is the Team Speak Server Name? How do I backup/import my Team Speak 3 ID? Why Was I Moved to the AFK Channel on Team Speak? Why wont any helper or admin go to the waiting to get on server channel? What is the TS IP? First of all, make sure that you are running TeamsSpeak as Administrator. 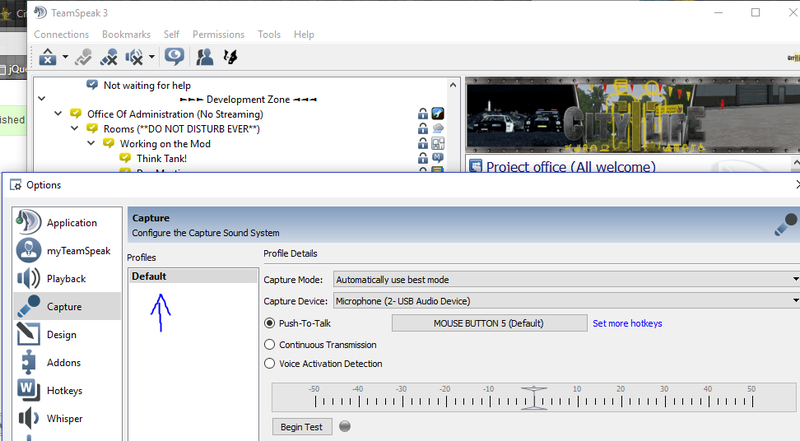 If that does not fix it, make sure you select the "Default" Hotkey profile in your TeamSpeak. Tools -> Options -> Capture and double click "Default" under "Profiles"
Posted by: Comforse - Tue, Jun 5, 2018 at 9:04 PM This article has been viewed 455 times.